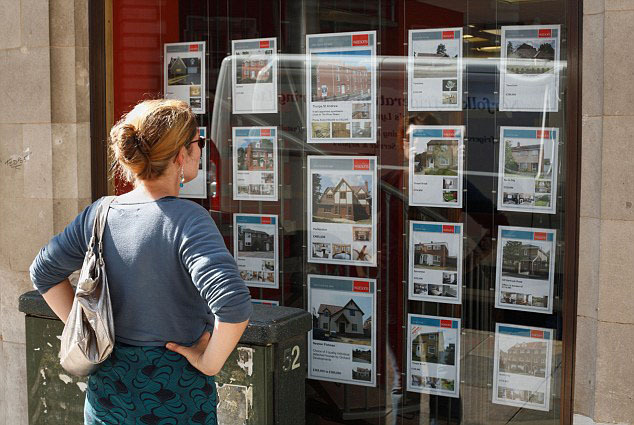 8 Tips for First Time Buyers in London - Moneyhome.co.uk - The Best Moneysaving Blog ever! After years of saving and getting your finances in order, you are now ready to buy your first home. There are, however, further challenges ahead for a first time buyer that could scupper your chances of collecting the keys to your new home; especially in the volatile London market. Common challenges include being gazumped, having your property undervalued or having a nightmare experience working with bad solicitors or surveyors. Here are our insider tips of what you can do to be in control and less stressed when buying your first home in London. It is quite often the case in London to have your offer put side by side with 20 other hopeful first time buyers. You’ll even find that there are a number of property investors who’ll be interested in getting their hands on your dream home. What a seller is looking for is a quick sale and no problems over mortgage finance. This is why you must place your first bid, backed up with your mortgage in principle and the details of your property solicitors in London. This shows the seller you are serious and ready to go as soon as they accept your offer. Average London house prices have risen compared to April 2015 by 14.25% to an all-time high of £470,025. With property prices going up at such a rate, it can be difficult to judge what to put your offer in at – especially when there is so much competition. The best advice is to look for properties that have sold in the local area to your property to make sure that what you are offering is not too high. You can check sold house prices on Rightmove, Zoopla and the UK House Price Index. Although you can offer any amount of money for a property, if you are getting a mortgage, the mortgage lender will confirm whether they feel what you are paying is correct. If the bank feels the property is not worth what you are looking to pay for it then you’ll be left having to either make up the difference yourself (which is unlikely you’ll have the spare money to do this), or to renegotiate with the seller. The legal process after your offer is accepted up until the property is registered is called conveyancing and is undertaken by either a solicitor or a conveyancer. Regardless of which you choose, it is very important that you instruct someone who is well known for excellent communication. The reason being is that the conveyancing process is full of twists and turns and you’ll need to have a solicitor on hand who you can call when you need them. The best way to choose who to instruct is to look for trusted reviews either on Google or from friends and family. You should also test calling your solicitor 2 or 3 times before instructing to see how easy it is to get through to them. Most importantly though is to not just go for the cheapest deal; buying cheap doesn’t guarantee speed or quality and you’ll need both during the legal process. Once the conveyancing is underway, you’ll want to get your mortgage valuation booked as soon as possible. Your lender’s valuation can take up to 4 weeks to come back because they will have to book a surveyor, organise access to the property, complete the valuation and then type up their report and submit it to the mortgage lender. Plus, you want to make sure the mortgage lender’s valuation for the property is what you are offering! It is a common mistake for a first time buyer to assume that the mortgage valuation is a home buyer survey. Sadly this can leave you facing the costs of making good defects in the property that can cost £1,000s after you move in. Always remember that when you buy a property, if you don’t spot defects before you complete then you’ll have to pay to repair the property – you can’t ask the seller to pay for it after you have completed (unless the seller made false representations to you). A home buyer survey will focus on identifying defects such as cracks, damp, checking the drains, looking for infestations, reviewing the roof and loft space, assessing the insulation and lots more. You should choose a local surveyor in London and make sure to order the right survey for your property; either a HomeBuyer Report (flats, bungalows, standard houses) or a Building Survey (for everything else). If you live in a rental, it’ll be tempting to hand in your notice to your landlord the moment you get your offer accepted. This is something you mustn’t do, because getting this wrong could mean be evicted from your rental without a home to go to. At any moment the conveyancing process could fall through so you should never hand in your notice until you have exchanged contracts; even if this means having 1 to 2 months between exchange of contracts and completion. With so much uncertainty in the property market, it is essential you have protection against the conveyancing costs when buying your home. Most solicitors offer a no sale, no fee as standard. However, there are some conveyancers who charge a fee for this service and some who cover some, but not all of the legal costs. You should always read the small print and ask what happens if the purchase falls through because you do not want to be left without a property to buy and a huge legal bill to pay. Sadly, anything can happen until you exchange contracts so you should never take your eye off the housing market. You should keep having viewings and have conversations with local estate agents about what new properties are coming to market. By doing this if anything should happen with your property, then you’ll be aware of what else is available in the market such you can change course if need be.